Michigan is among the first states in the country to form a state affiliate of the National Diversity Council (NDC). 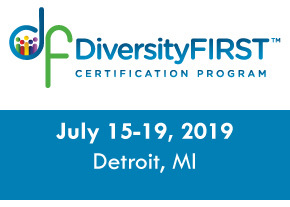 Launched in April 2009, this organization complements existing diversity initiatives in Michigan by providing ongoing learning opportunities, discussion and best practice sharing among leading companies and diversity professionals. The mission of the Michigan Diversity Council (MIDC) is to enhance appreciation for and understanding of the value of diversity and inclusion in the workplace. By cultivating the unique talents, experiences and backgrounds of current and future employees, Michigan businesses will be seen as leaders in the global marketplace, and the state will be regarded as a great place to live and work. Our learning opportunities cover a breadth of topics designed to keep professionals up-to-date with current organizational diversity trends. Topics reflect the learning needs expressed by our membership base, enabling attendees to find solutions to many of their greatest diversity challenges. Measuring Success: How Effective is Your Diversity Program?